In the Indian Elite section, Nitendra Singh Rawat and Lalita Babbar emerged victorious. All the three women podium finishers – Lalita Babbar, OP Jaisha and Sudha Singh – broke the ADHM Course Record set in 2008 by Kavita Raut (01:17:12) and Lalita Babbar clocked the fastest ever Half marathon time (01:10:52) by Indian Women. In the international athletes, leading pack of 10 runners went through 10km in 27:56, five men were still in contention with just 500 metres to go ahead of the finish line in the Indian capital’s Jawaharlal Nehru Stadium. I am very happy, I enjoyed the course and enjoyed the race. It was very easy for me,” reflected Legese, after clinching the $27,000 winner’s cheque. His time equalled the third-fastest time in the world this year”. Just 21, Legese notched up his second major half marathon victory this year, having also won the Berlin Half Marathon back in March where he set his previous best of 59:45. In Delhi, he was just 14 seconds outside the course record set in 2014 by another Ethiopia, Guye Adola. Eritrea’s world record holder Zersenay Tadese, now 33, did not quite have the sheer acceleration of his younger rivals over the final few hundred metres on Sunday but will still have been satisfied with third place in 59:24, his fastest time for more than four Years. The Kenyan pair of Edwin Kiptoo, who made much of the pace from halfway at 22 km/hr running speed until the final kilometre, and Jonathan Maiyo finished fourth and fifth respectively but were given the same time of 59:26. The depth of world-class performances – only two other half marathons in history have had five men run under 59:30 – confirms the Airtel Delhi Half Marathon as one of the premier races in the world over the distance. Limo took the women’s race in 1:08:35 after outsprinting her compatriots Helah Kiprop and Gladys Chesire over the last 200 metres, although she always looked the most likely to triumph after increasing the tempo at the front of the race with three kilometres to go. Kiprop snatched second place in the final 30 metres and was given the same time as the winner while Chesire was one second further back to complete an all-Kenyan women’s podium. In the Indian Elite women, Lalita Babar, OP Jaisha, Sudha Singh were neck to neck through-out the race. Eventually, Lalita took six and half minutes off the ADHM course record with a time of 1:10:52. Jaisha (1:11:43) finished closely behind Lalita followed by Sudha Singh 1:11:46. In addition to Rs 3,00,000 prize money, Lalita also won the course jackpot of Rs 1,50,000. In the Indian Elite Men, Nitender Singh gave a tough fight to Kenyan Bett but could not surpass him. He eventually took the podium at 01:04:41 to collect Rs. 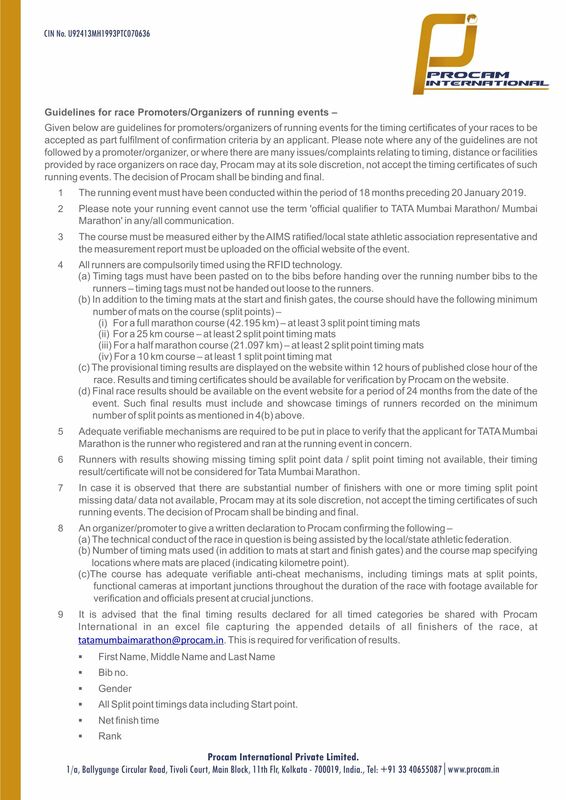 3,00,000 prize money in the Elite Indian Men category. Gopi T, who followed Nitender through-out the race, finished 2nd to collect Rs. 2,50,000 and Mohd. Yunus finished at 3rd place with Rs. 1,75,000. A total of 34,015 runners participated in the 8th Airtel Delhi Half Marathon including 13,200 amateurs, over 70 international athletes; 19,015 enthusiasts participated in the Great Delhi Run while 400 brave hearts finished the race in the Champions with Disability category and 800 in the Senior Citizen category. Birhanu Legese (ETH) 00:59:20;Mosinet Geremew (ETH) 00:59:21; Zersenay Tadse (Eritrean) 00:59:24; Edwin Kiptoo (KEN) 00:59:26; Jonathan Maiyo (KEN) 00:59:26; Geoffrey Kirui (KEN) 00:59:38; Abrar Osman (Eritrean) 01:00:39; Moses Kipsiro (UGA) 01:00:41; Kenneth Kipkemoi (KEN) 01:00:45; Bonsa Dida (ETH) 01:01:19. Cynthia Limo (KEN) 01:08:35; Helah Kiprop (KEN) 01:08:35; Gladys Chesir (KEN) 01:08:36;Genet Yalew (ETH) 01:08:46; Tadelech Bekele (ETH) 01:08:52; Netsanet Gudeta (ETH) 01:10:47; Beatrice Mutai (KEN) 01:10:52; Lalita Babbar (IND) (Overall 8th) 01:10:52; O P Jaisha (IND) 01:11:34; Sudha Singh (IND) 01:11:46. Nitendra Singh Rawat (IND) 01:04:41; Gopi T (IND) 01:04:45; Mohd. Yunus (IND) 01:04:46; Rattiram Saini (IND) 01:04:52; Kalidas Hirave (IND) 01:05:16; Balliappa AB (IND) 01:05:59; Vikas Kumar (IND) 01:08:41; Luther LR (IND) 01:11:20; Rajendra Singh (IND) 01: 12:37; N G Charmoy (IND) 01: 14:52. Lalita Babbar (IND) (Overall 8th) 01:10:52; O P Jaisha (IND) 01:11:34; Sudha Singh (IND) 01:11:46; Suriya L (IND) 01:13:18; Kiranjeet Gaur (IND) 01:21:02; Priti Lamba (IND) 01:21:36; Jyoti Gawate (IND) 01:22:05; Amandeep Kaur (IND) 01:26:10; Ranjana Kumari (IND) 01:45:48. Men: Team M4: (Ravi Kumar, Amarjeet Yadav, Ajeet) 07:16:26. Team Mixed: (Sonu Yadav, Preeti Sharma, Ram Bhateri) 08:45:35. Team W5: (Papita, Manisha, Priyanka) 08:50:38. Team W8: (Sonu Kumari, Deshkranti Choudhary, Premlata Yadav) 08:59:59. INFOSYS(Thanuj Kumar, Umang Kamra, Aakriti Verma) 04:55:17; TCS IMMORTALS (Rajasekar Rajendran, Jayavathi J, Saravanan Palanimalai) 05:03:47; CADENCE Team A (Niharika Gupta, Kamal Bhatt, Ramanuj Bhattacharyya) 05:30:25. Rajkumar Singh 00:31:52; Laxmi Kant Patel 00:32:18; Vijay 00:33:00; Atharbha Singh 00:35:18; Jitesh Vishwakarma 00:35:23. Heena Thakur 00:39:17; Prabhijeet Kaur 00:39:53. Sanjay Kumar 00:15:43; Kushmeesh Kumar 00:15:43; Dnyaneshwar Morgha 00:15:50; Amit Kumar 00:15:58; Dilip Kr Patel 00:16:00. Kaneejo Begum 00:19:30; Rajwinder Kaur 00:19:30; Charel Sitaben 00:21:07; Muskan Kushwah 00:21:32; Bindu K 00:22:13. Surya Prakash 00:09:13; Satish Kr Yadav 00:09:13; Ajay Kr Bind 00:09:13; Niraj Kumar 00:09:13; Rajeev Yadav 00:09:20. Rosy Patel 00:09:42; Gavit Hemant S 00:11:15; Bhupinder Kaur 00:11:35; Divya Pandey 00:11:48; Parmindra Kaur 00:13:30. Women (60 to u 65 years): Pervin batliwala 02:02:28; Christine Pemberton 02:10:10; Rachel Chatterjee 02:10:10. Men (60 to u 65 years):Naval Kishor Yadav 01:31:15; Paramjeet Singh 01:49:20; Vinod Kalla 01:51:05.